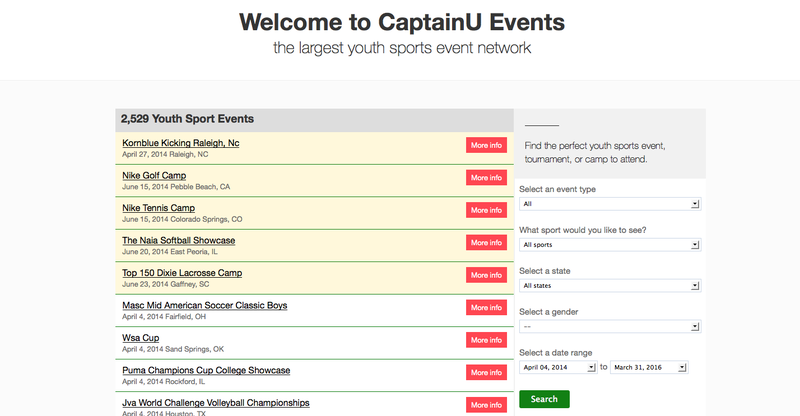 CaptainU’s Event Directory is a great place to generate exposure to millions of athletes, teams and coaches around the country. It’s the largest directory in existence and is searched thousands of times per day. 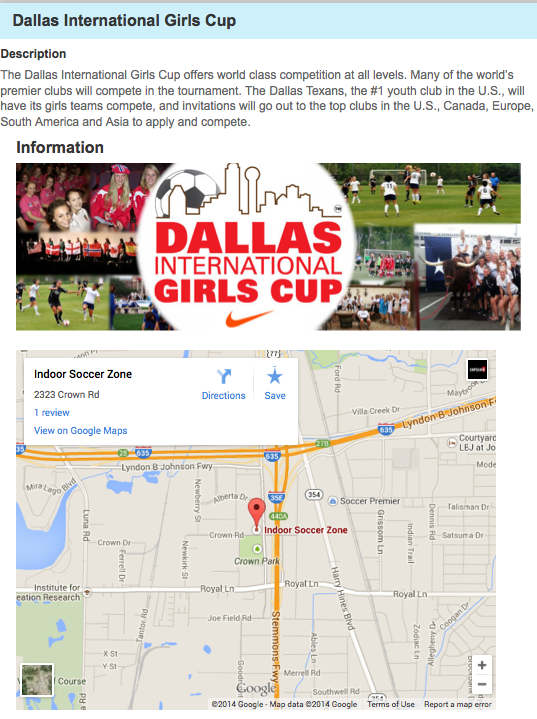 Directory is free to list your camp and provide content and there are free and paid ways to boost your exposure. Instructions below on how to setup your camp page and listing to generate the most exposure for your camp and drive more targeted and qualified athletes & teams to your event. Events are listed in the site based on premium / free section. 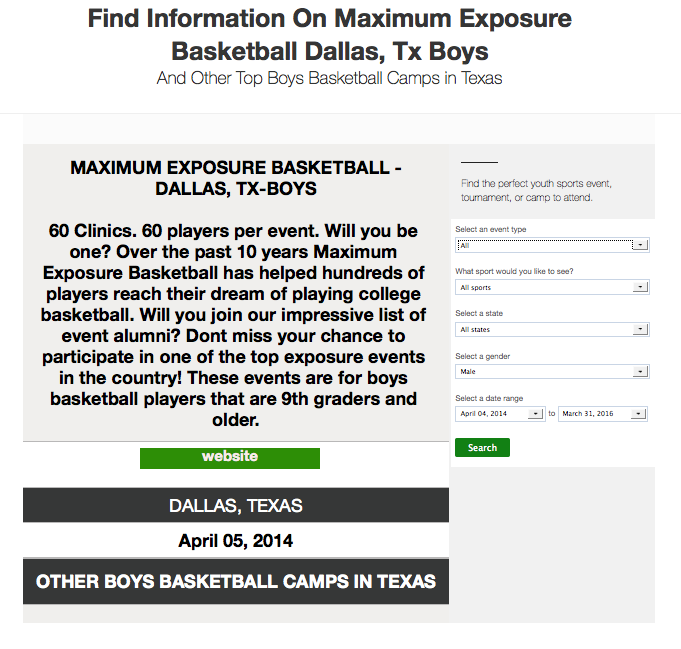 Within the premium section, you can promote your camp through email marketing and sponsored directory listings. Contact our event representative to inquire about paid promotion. Paid promotion typically generates 10X the amount of traffic and exposure as free. For Free section – there are ways to increase your exposure though our CaptainU event point system. Points are gained through the steps below and as you add points to your event, your listing will rise in the rankings. With higher points, you’ll also be eligible to get into our events newsletter and email marketing campaigns, as well as moving towards the top of the event directory free section. Join 5,000 events as part of the CaptainU network! CaptainU Events makes it easy to promote your event to everyone in the CaptainU network. Simply enter your event details to start your account. We will get you set up so you can login and earn your first 50 points! Athletes and Teams want to know more about your event, so tell them! You can add a description of your event, special features that set your event apart, and don’t forget to tell them how to register. Posting pictures and video of your facilities or of teams and athletes from past years will get CaptainU Athletes and Teams excited to be a part of your event in the future. You can easily upload a picture, or insert a YouTube video to earn 150 points! Once you get your directory page listed, add a link on your site to the new CaptainU event page and you can earn more points for your account. Share on your website, Facebook profile, email signature and anywhere else you can think of. Each post will earn the extra points. To learn more, email michael.lofberg@captainu.com.